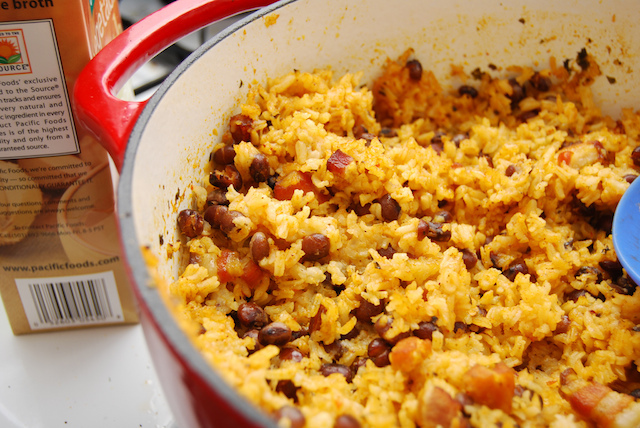 Whether on the island or in the US, Puerto Rican holiday tables will usually feature this popular rice dish: arroz con gandules. 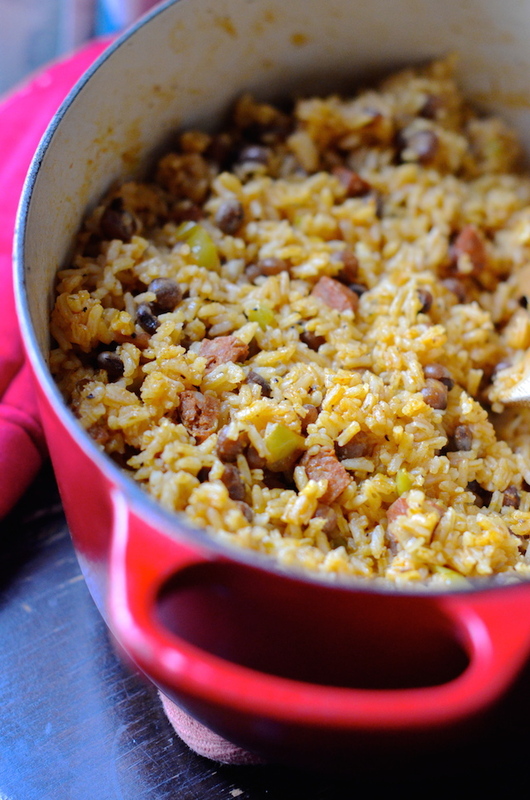 This easy and savory rice dish is made with a base of smoked ham (or bacon), homemade sofrito, and a generous sprinkling of Latin spices. The golden yellow color comes from achiote seeds--these can be easily found online or at most Latin grocery stores. Pigeon peas are also easily found with other Latin or Caribbean canned beans (Goya is a popular brand).